Sometimes, the best option for a smaller business is to associate with a larger one. This is why new designers or brands are sold in department stores before they get their own stores devoted to that product line. This can be a good strategy for online retailers as well. A recent study by Searchmetrics found that eBay and Amazon have the highest visibility rates their listing ads and PPC ads. 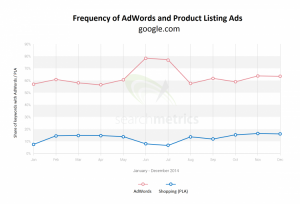 Searchmetrics released a “Google Shopping & AdWords: The 10 Most Important Players” study that identified the biggest advertisers in 2014 for advertising pop-ups and shopping advertisements from the U.S. search results of Google.com. Last year, on average, at least one AdWord advertisement popped up in 63 percent of all keyword searches. The study found that a large number of the ads Google chooses to display are from eBay and Amazon. Amazon had the highest visibility rating in the PPC category. The researchers noted that Amazon relied on AdWords almost exclusively for PPC ads. For Product Listing Ads (PLAs) eBay took the top prize with a visibility rate of 7,591,817. However, unlike Amazon, they use other platforms beside Google for ads. This led to various fluctuations in their weekly numbers, but they still remained top overall for the PLA category. Business owners that are trying to get their new products noticed by customers should consider listing the products on Amazon and eBay and paying for promoting those links on Google. “PLAs can pay off for retail advertisers, because the market is still relatively cheap at the moment, mainly due to the higher CTR com­pared with AdWords ads. You would expect more people to click on a PLA because they include an image, which stands out on the search results page. They are also likely to be more effective for retailers because Google shows them when it deems that a person is showing purchase intent – in other words they are performing product related searches,” said Marcus Tober, founder and CTO, Searchmetrics according to media reports. 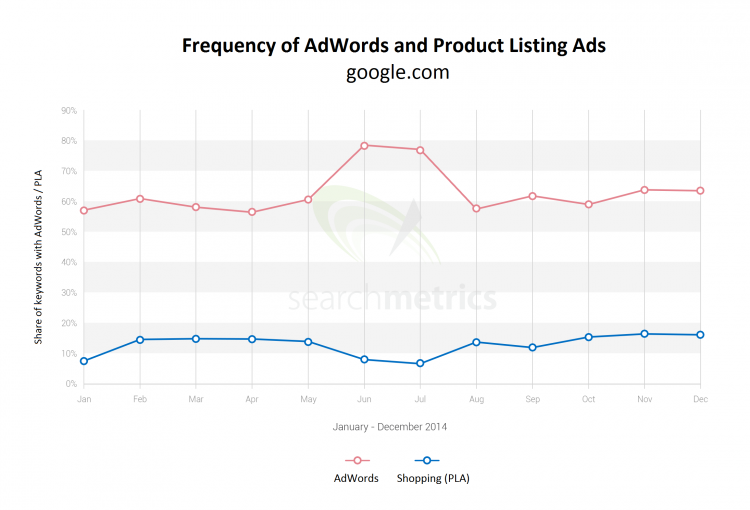 The study also has data on the other top advertisers seen on Google Adword ads. For exmple, the leading AdWords PPC advertisers were Amazon (9,381,597 visibility) Wow.com (6,577,132 visibility) and Ask.com (6,366,023 visibility). The leading Google PLA advertisers were Ebay (7,591,817 visibility), Walmart (6,198,399 visibility) and Rakuten (2,289,424 visibility). The report is free for download at the Searchmetrics website and contains useful information retailers can use to increase the reach of their ad campaigns. For more recent ecommerce news, read this article on the motivating power of online video.